Nestled among the row of shophouses along Thomson Road, close to United Square and Novena Square Shopping Mall, it would be one of those old and inconspicuous looking shop that one would easily overlook. 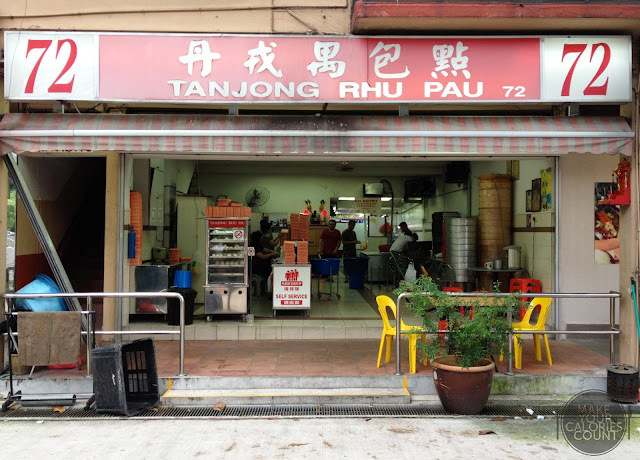 We found much similarities between the paus here at Tanjong Rhu and the ones found at Bao Zai, a humble hawker stall located within ABC Brickworks Food Centre. 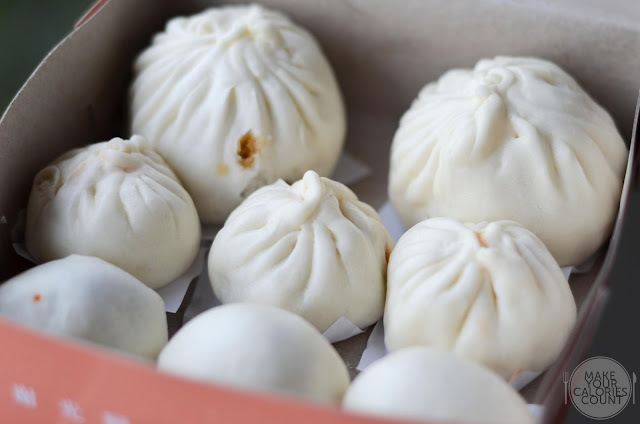 What these two pau stalls have in common is that both pau specialists offer bite-sized paus, ideal to pair with some kopi-o (black coffee) or teh-c (tea with evaporated milk) for afternoon snack. With the abundance of paus being mass produced in factories available in the market nowadays, I always have a soft spot for the traditionally handmade ones. There is no better evidence that this is a place for char siew pau than to be greeted with that lingering aroma of the marinade and roast upon setting foot into the stall! 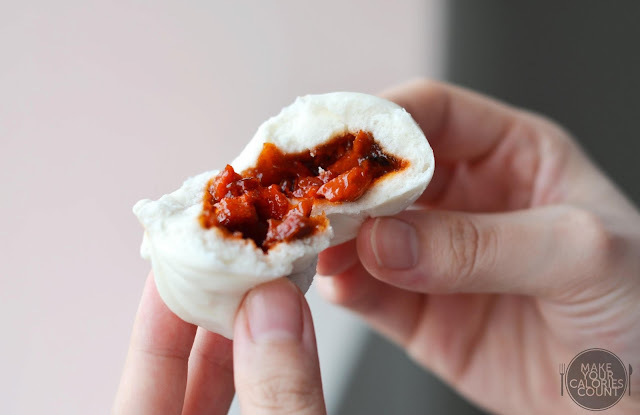 Many would argue that this bite-sized char siew pau is overpriced, given that it would easily be gone in 2 mouthfuls or even a goner with one pop if you have a big mouth like mine! 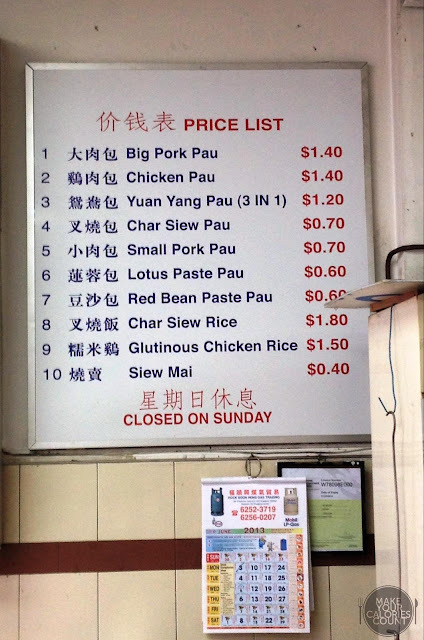 Right, so what is it about this pau that makes it tantalizing? Ripping the bun into two would release a beautiful roast fragrance. The shredded pork pieces were generously coated in an intensely rich and savoury roast marinade for the fillings, gently wrapped within a light, fluffy and chewy bun. The skin of the bun was relatively thinner around the sides and evidently thicker at the base. There was also a good mix of fattier portions of the pork pieces which gave it plenty of juiciness to savour. We also enjoyed the pau because the sweetness was just right and suited our palate. The flavour however was threading a fine line between a solid roast flavour punched with oomph and an overdone yuck. Well, personally we felt that it was done just nice, but this is subjective. Typically, we prefer our char siew to have that classic dark roast colour without the addition of red yeast rice powder to give that vibrant red colour. While it is said that red yeast have the health benefit of lowering cholesterol when consumed for at least 2-3 months, it is typically used in Chinese cooking as a form of food colouring. I believe my waistline will suffer significantly if I were to eat char siew pau daily for 3 months!! 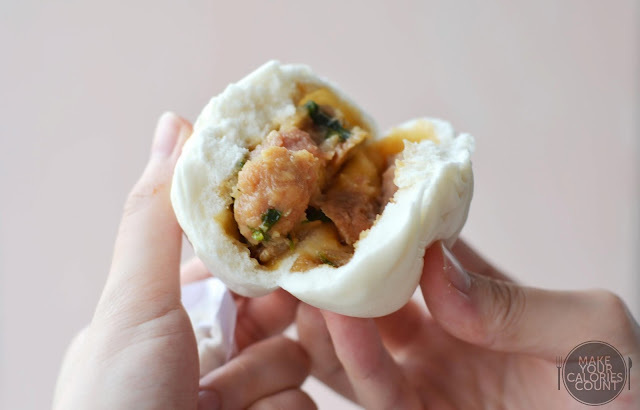 Honestly, I blinked my eyes when I realized this was their rendition of da pau (big pork bun) because by any typical Singaporean's books, this is easily your xiao pau. When I arrived back home with the box of paus, my mum enthusiastically opened up the box and exclaimed 'da bau leh??' Yep, so expect that kind of reaction about the size of their da bau. I think this picture gave a clearer illustration of what I meant earlier when I said the base of the bun was thicker at the base and relatively thinner around the sides. 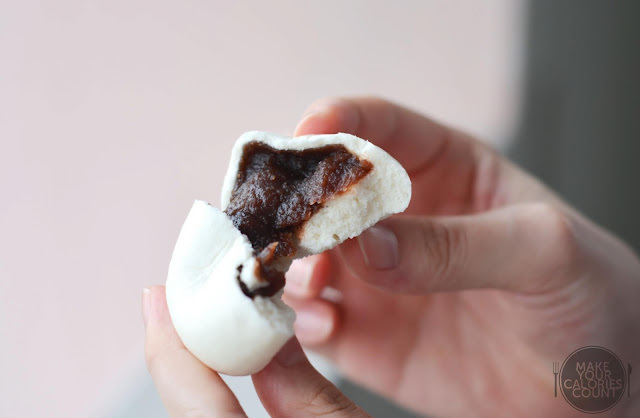 We really enjoyed this simple red bean bun given the richness of the paste. Despite the petite size of the bun, it was relatively generous in serving, to the extent that it oozed out in plentifulness when we tore the bun apart. The red bean paste was velvety smooth so you do not feel the graininess of the beans. We generally have a very picky palate but the sweetness of the paste was perfectly suited to ours, mild enough to please and not satiate. This should give a good contrast of the sizes of the paus. The bigger pau in the picture is actually the big pork bun which really isnt all that huge unfortunately. 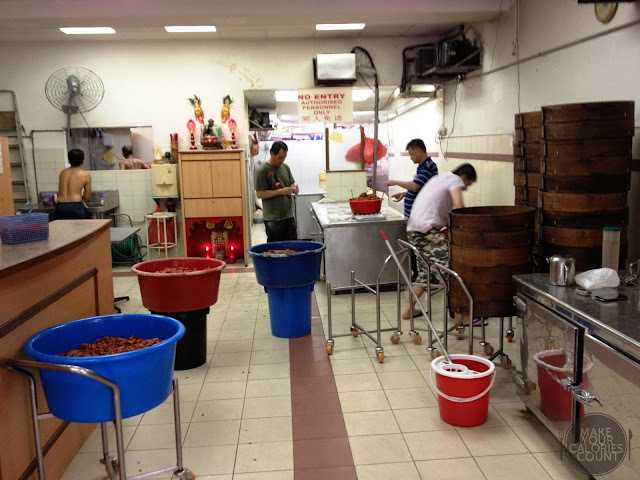 Well, there is no better proof that the paus were all hand made when we saw the uncles hand-kneading and marinating the char siew while others were busy packing the fillings into the buns. While we felt that using bare hands give that additional humane touch (人情味) and in general a more even mix of the spices and marinade, some might argue that it is highly unhygienic.